Commonwealth: INFORMATION Equivalent to Situation in SMEAC format INTENTION Broadly equivalent to Mission in SMEAC format METHOD Equivalent to Execution in SMEAC format ADMINISTRATION Same as Administration in SMEAC format INTERCOMMUNICATION Equivalent to Command & Signals in SMEAC format Example towards the bottom of the link here: http://www.pegasusarchive.org/normandy/war_3rdBde.htm Some stuff about the planning processes of the US, Germans and Red Army here: https://apps.dtic.mil/dtic/tr/fulltext/u2/a227390.pdf Similar on the US modern approach and the German WW2 approach with the outline headings here: http://www.intelros.ru/pdf/JFQ/57/26.pdf Somebody will probably be able to dig up a better German example but I couldn't find one in a hurry. Italians - no idea but the general trend for these things is pretty much the same across the piece. I was just able to finish the entire article and wanted to say another well done! I really appreciate that you cite your sources and include them at the bottom. Aside from it lending credibility and support to what you're writing, it also provides readers with some good book recommendations which is always a plus. One of the many reasons I like CM so much is how well it simulates soft factors, such as suppression and morale. Most games don't even bother to include these factors, and most that do try to simulate them fall short in my opinion. Speaking of those soft factors, @Josey Wales put together an excellent video series detailing how the soft factors work. Highly recommended for those who have not seen them. Is today - feature request that everybody's going to hate day or something? 😏 If a player can't control something that results in them taking losses, they get urinated off (Why can't I clear mines? Why does my vehicle bog?). If a weapon system doesn't perform to its perceived capability (Sniper can't hit anything? ), people get urinated off as per the sorts of comments I have put in parenthesis which have cropped up in a number of threads over the past month. Giving extra AT assets to HQ units is realistic. The mission (or the circumstances you find yourself in) always dictate. In this case you knew you were being attacked by a vehicle heavy force, and you needed as much AT spread out as possible. I can't speak for other nations but for the US it is not uncommon for HQ elements, be it platoon leaders on up, to use AT assets when the situation calls for it. There is a particularly famous example from the beginning of the Korean War in which Major General Dean used a bazooka to knock out a few T-34s as his position was being overrun. Here's a wiki link for those who are interested: https://en.wikipedia.org/wiki/William_F._Dean#Taejon Obviously this is not the norm, but if the situation calls for it then it's plenty realistic to have HQ units with AT assets. After all, rank doesn't protect against tank shells. Might as well be able to shoot back. As to the question of a proper load of ammo, CM actually slightly undermodels the standard combat load for the US Army. I don't have the numbers from in game in front of me at the moment, but I recall if you break everything down, the riflemen have a combat load of 7 magazines (which is correct) but the SAW gunners only have half of their typical combat load. I think in game the standard for a US squad is something like 1800 rounds, which is a good 400 rounds or so below the standard in reality. Its also important to note that in reality, the situation always dictates how much ammo ends up being carried. A short dismount from Bradley's to clear a building would only involve the bare minimum. Whereas a light infantry patrol over the course of several days would mean that everyone would carry a lot of extra ammo. For example, while a standard combat load may be 7 magazines, most riflemen tend to carry double that when outside the wire. On top of this, certain weapon systems require buddy loading. A good historical example of this is German infantry squads and MG-42s, where the riflemen in a squad would carry extra ammo for the MG. The same holds true today. Extra ammo for squad based SAWs and platoon level M-240s (light infantry platoons) are all carried by riflemen. Same goes for platoon level mortars, javelin ammo, etc. All this is to say that, for the US Army infantry at least, it is not unrealistic to load them down with at least double what they carry by default. As to the argument about fatigue and how that extra ammo affects them, I tend to think this isn't a problem. Units have a fixed inventory space (a 2 man team can only carry so many javelin missiles, etc) and Western units in general tend to fatigue pretty quickly as is. Plus, if a team is carrying something heavy, they are automatically restricted from being able to 'Fast' move and sometimes even 'Quick' move. I've noticed some redundancy in the game files, duplicates and the like. Not sure if/how they are utilized but for what its worth, US Heavy infantry is mech infantry. You if you make a mech infantry themed icon then that'll be the heavy infantry icon in current nomenclature. @CMFDR, maybe we could do something like that, yeah. I'm making a text file for the ones I just stated. Here's the link on Google Drive: https://docs.google.com/document/d/1VwVQ5Yd4mWpXJOpOcxvi6PGBOOsj0kb-HxWDY37SFhk/edit?usp=sharing @Erwin, does it include CMGL camos? There is a feature for the campaign where the author can set the likely hood of vehicles being repaired between battles. A low likely hood simulates a tight timeline where the next battle quickly follows the first. A high likely hood simulates a longer time-fame where damaged vehicles can be recovered, repaired and returned to the fight. As @George MC says sometimes the damage is extensive so the repair is a percentage chance not a certainty. Steve’s post really brings me back to points I made in another thread about QB planning. Playing against an opponent, I usually have at least a brief discussion on what we are trying to simulate. Some opponents really don’t care, they tell me to set up a QB and they will live with whatever is handed them ( @IanL is like that, and I am with him) but others we do have some sort of notion what we want to do. So if e want to simulate that something is affecting NATO air power over our battle, yes, it’s fine to give the Red forces air power and sadly, the NATO player will struggle. On the other hand, as fun as it is to see an air strike be successful, air power in CM is rarely a decisive factor. Not in any battle i’ve played anyways, even against someone who wanted to stack the deck and have a lot of it. I’ve been to the airplane museum in Hamilton. It was smaller than I expected but packed with good stuff. I would recommend the Canadian War Museum in Ottawa. It’s really good. Nice exhibits, and a rather good collection of armoured vehicles on display. Similarly, the Aviation museum in Ottawa is very good. Cool, I'll meet you half-way for sure! Oh, sure, when I figure out what the terrain is I can more or less guess at what kind effects it has, but I'm guessing. Also, in a scenario set at day break or night fall, it's *really* hard to tell what you're looking at. So, there are lots of different reasons for wanting to know, Cover/Concealmentm Bogging, effect on infantry movement, effect on artillery blast. I'm certainly not planning tile by tile and, most of the time you have multiple tiles of the same type contiguous anyway. At least in my experience. Never thought that the Y in "Grass Y" stands for yellow! LOL. Duh. Interesting stuff guys. Didn't think my innocent question would spur so much conversation, but it's cool and educational for me. Thanks. I've only been getting back into the "Combat Mission Community" for the past year or so but it's amazing how many times I've come across this "paid patches" or "BFC screw their customers" meme. No matter how many times I point out an engine upgrade isn't a patch & give real-world examples of companies that drop their games after a few years the unhappy individual continues with their stubborn claim. I like the engine upgrade system but its apparently got BFC a bad rep out there on the webs. I have no idea what BFC are planning for CMx3 but I'd recommend an upgrade/DLC policy which tries to counter this (entirely undeserved) reputation. I have always found Battlefront's support to be fast and friendly. Well Panzerblitz was my second game, I selected Panzer leader first, heard it had improved on the rules. but it was not long before I had both. 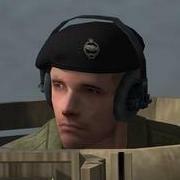 But I am afraid squad Leader was the game that won me over, that was the start to a path of no return. Thus the reason I am here today. These games have replaced those early starts. You're right, I was ignorant about Starstreak. I shouldn't have assumed otherwise. I love all the things I learn from these forums. There is a lot of discussion here about 'Stingers for the Brits', but what about stingers for the Dutch? they use them also IRL, so why not give them ingame? Well for starters the UK forces do have AA assets IRL. As to what would be different between operating in Syria or Ukraine I would honestly expect very little difference at all. Clearly in Syria there would be no Syrian air force left at all. In the case of Ukraine I am sure that NATO would not be willing to destroy the entire Russian air force but no Russian air craft would be able operate long against hypothetical NATO forces in Ukraine. I'd say none would succeed but it is possible that some missions might get through. It would be so few that it would be effectively irrelevant. This is Steve's position on it: That is why it is pointless discussing it further. As a test I threw together a Brit/Syrian QB that included Syrian airpower. 3/4 the way through the scenario I was winning handily and was set to publically scoff at the notion of Syrian airpower. Then the Hinds showed up. I've got to hand it to them, they did a commendable job of systematically shooting up all my armor. That was FUN! Well said. Personally I still love the graphics and I don't know any games that even come close to CM, let alone have better graphics. If CM2 would not exist, I wouldn't be playing other wargames, but would still be playing CM1. CM is a rare breed and there's simply nothing to replace or succeed it. The current rate of production worries me though, but let's hope that's going to change this year. I'm 55 now and I hope to be able to play CM for another 55 years. Well there ya go. I thought you *were* talking about having the manual describe all the combinations or the game UI showing you all the detail of what is under foot. So, no it would not be bad for there to be a set of pictures identifying what each ground type was. Honestly though, I am not sure it really would change much. Actually I would argue that the UI does do a good job - you can look the environment in game and see that there is a house a shed a wall and trees on some kind of dirt with grass. Mission accomplished the game has show the player everything they need to know about the terrain at that location. Exactly what a soldier walking up to that house would have. Seems good to me. Ha HA! "So, for anyone keeping count, that's a red dirt tile, with half a house in the action spot, a low wall, two trees, a shed, some brush, and an extra tall grass and weed tile bleeding into it." You can see some just to the right of the shed and in the background. I'll take me apology in triplicate! Mord. P.S. But what I did forget to add to the mix was the ground condition settings. I built this little map tonight after supper as well. It is the field beside my house shown worked on the left and then they way it looked this spring as a lush field of hay on the right. The farm has a sand ridge, several wet holes and about 4 different soil types in the 25 acres, in game 150 meters by 600 meters. The view here is from the west looking east. The first time I worked this field, I assumed it was all dry and good to go because the east portion of the field was fit. The field was covered with corn stubble after a near record harvest so there were no areas of the field that had drowned out and were without plant material, a typical giveaway of a wet hole. At the Northwest edge of the field, the sand ridge was dry but not the little hollow between the sand and the pond. The disc I was pulling got bogged down in the wet ground and I almost got the tractor stuck. Fortunately, I was able to get out without assistance but made a big mess. With the ground worked, it is fairly visible, with a full growth of hay... good luck finding it if you didn't know it was there. Can you even see the wet hole in the field on the right? I was travelling at 4.5-5 mph when I noticed the problem and still was lucky to stop in time. If you were in tank, cruising at 15 mph+ and hit that wet hole, for sure bogging is an issue. For my two cents, I think the game give you all the details an actual trooper would have. Look at the ground conditions in the game, and then recognise any ground other paved surfaces has a chance of bogging if conditions are damp or worse. Make an effort to stick to the higher ground and ground with some sort of vegetative cover. The hay field on the right will have a reduced chance of bogging due to the root structure of the plants. But if the conditions are wet or muddy, that won't make a big difference. Remember, crew experience goes a long way to preventing bogging. Just like at work, all the new inexperienced guys seem to find the wet holes.... Here is a link to the file if you wish to check out the terrain types used. https://www.dropbox.com/s/4ftkpyl7j8sgbbb/Terrian Example.btt?dl=0 I would also like to add, I hope Battlefront seriously considers adding another ground condition to the game for all the upcoming modules, and that is thawing. At work today we were trying to plough some of our last soybean stubble. It has been a wet fall/early winter and we have a couple fields left to go. This morning there was a good frost in the ground and the first few hours went real well. Around 10 am the sun came out strong and started to melt the frost. We broke a chisel plough tooth and it took half an hour to fix it up. In the time we were fixing the chisel plough, the ground became to soft to continue. The reading I have been doing the last few years about the Canadians fighting in Holland, this same thing happened to them. The tanks could support them for the start of the day but as the sun warmed things up, the tanks bogged and had to be left behind. Attacks would falter and need to be tried again the next morning when the ground was frozen enough again. I would love to see the same kind of thing happen in game. Start the battle and vehicles can drive just about anywhere, but as the fight drags on more and more will be lost to bogging. It would be a great way to add a time element to the battle as a reward for those who move quickly and it would hinder those who take too long. I know the game already models this with regards to rain, so I would hope it would be easy to implement with frost. That right there is beautiful!